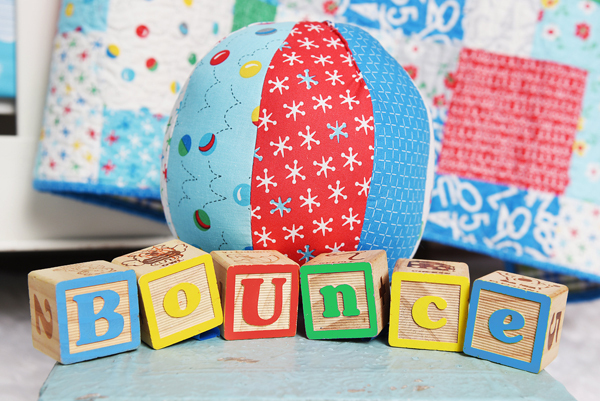 17 Responses to Bounce is in the House! Ahhh, finally ! I love it !! I hope I can find your new collection in Canada, eh ? Being a mom of 3 boys, I always appreciate a fabric line that could be for boys! Thanks! Your fabric is so cute! Thanks! Fabric for boys is hard! 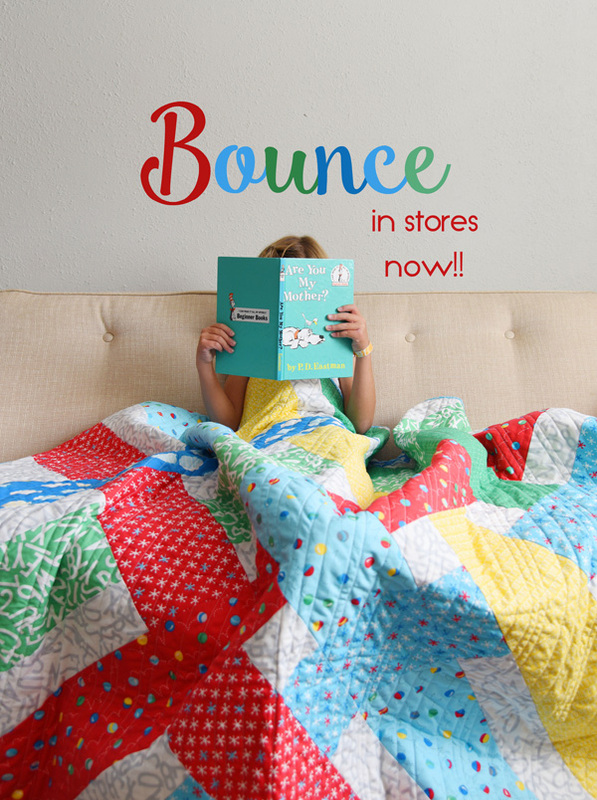 Totally love this fabric line – each and every print :)! You did a beautiful job of designing it! 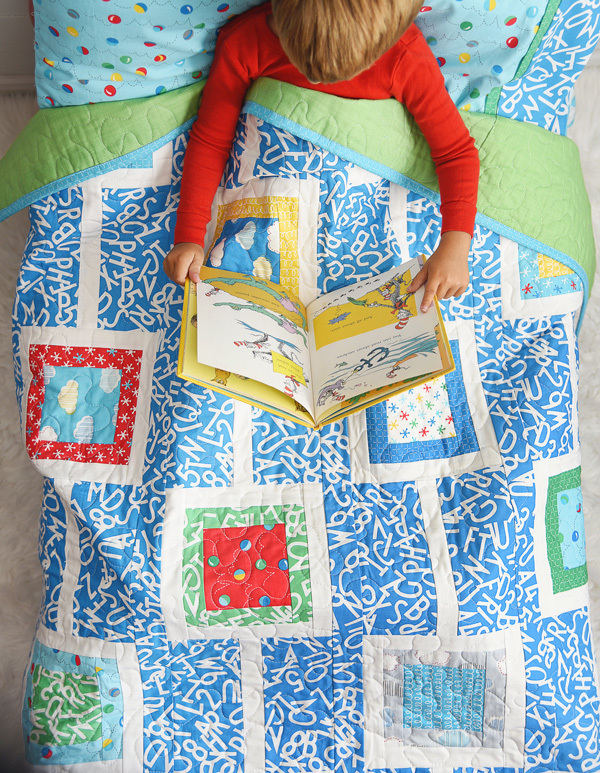 So enjoy all the quilts made up with it too. 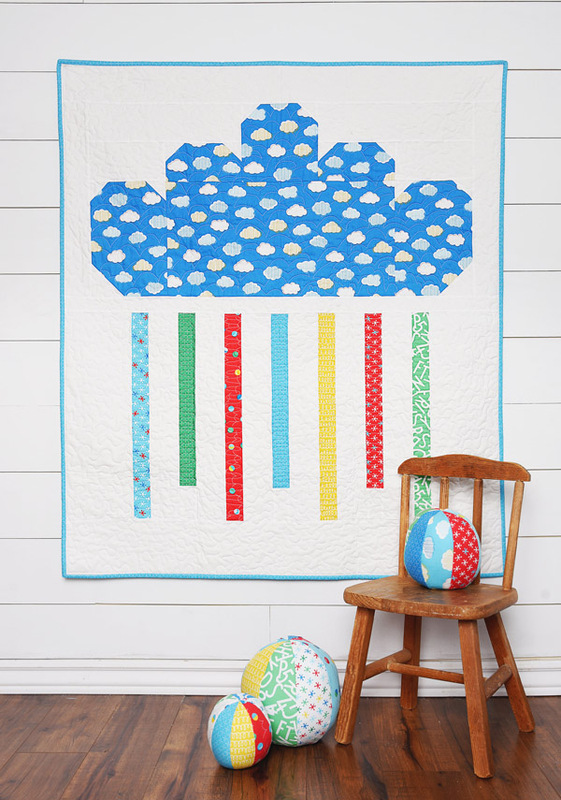 I did find the ‘Alternate’ pattern to the Rainy Day Jr. quilt. 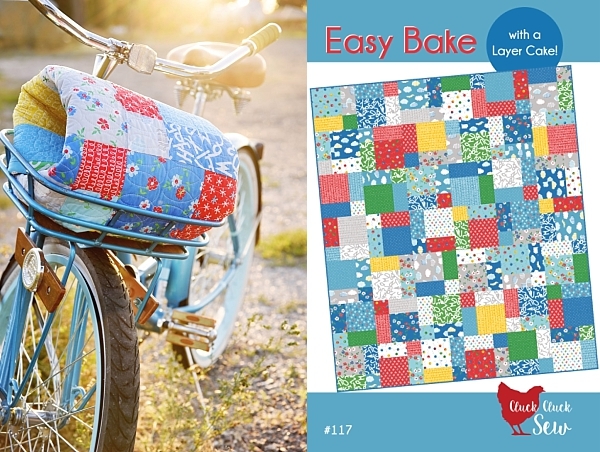 Still available if saved to the Craftsy – now Blueprint site. 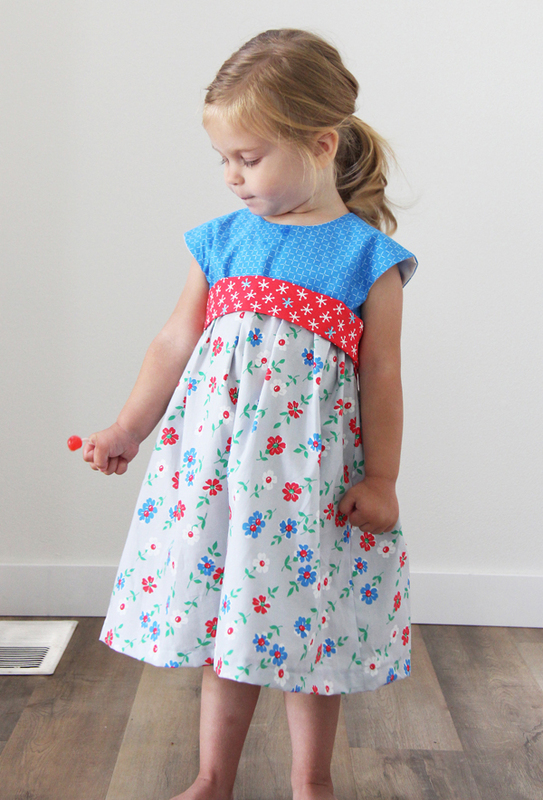 Little Jane looks adorable in her dress – yes practicing patience :)! Oh I’ll have to look for it, I couldn’t find either download anywhere besides just as the photos on her site. Thanks! So lovely and fun, brought smile to my face. 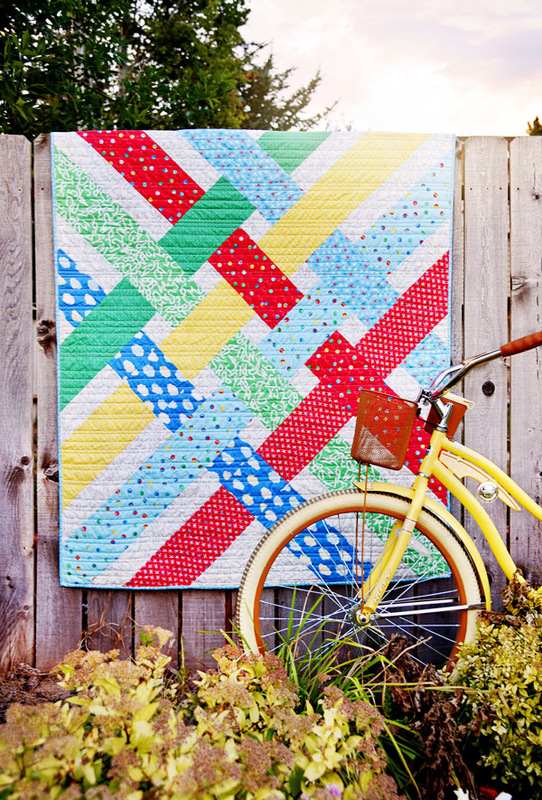 Love the bright colors, going to my local quilt shop tomorrow. I will ask if they have it. Can’t wait to find this fabric. I’m thinking I would like to try it with your Color Pop pattern. 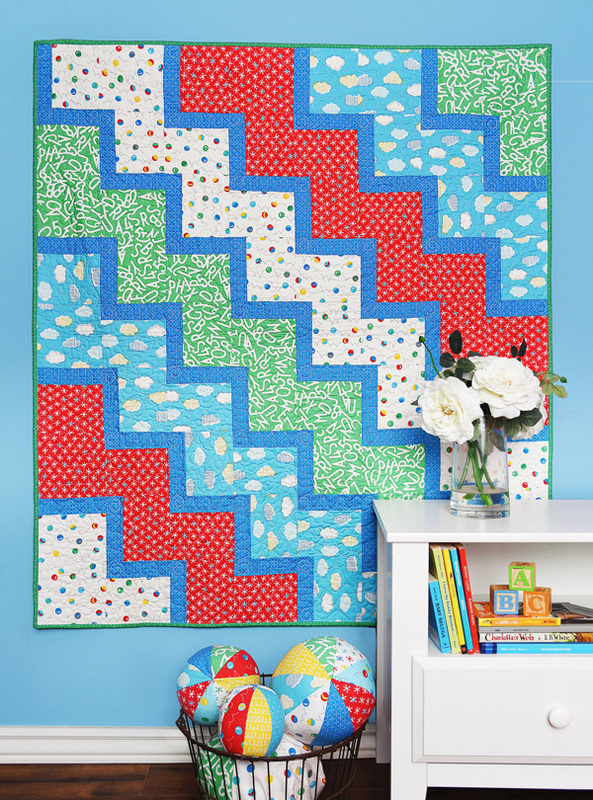 Thanks for another fun line of fabrics, Allison! 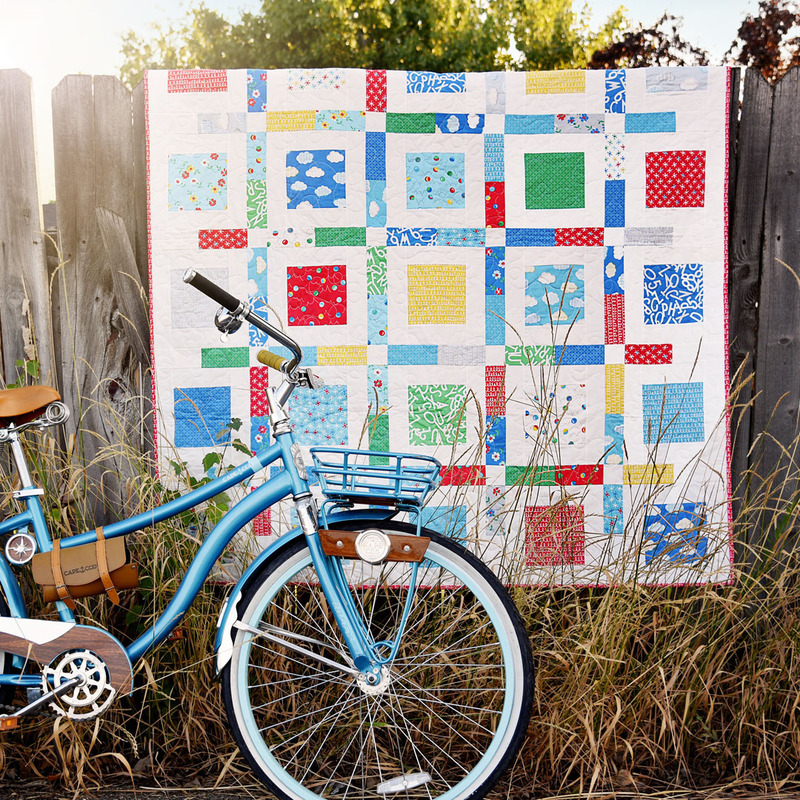 Love the fabric and your patterns are AWESOME! Congrats Allison on all your hard work, your beautiful children and your new happy line if fabric!! Happy dance! Thank you so much Darice! Ahh what a great fabric line! 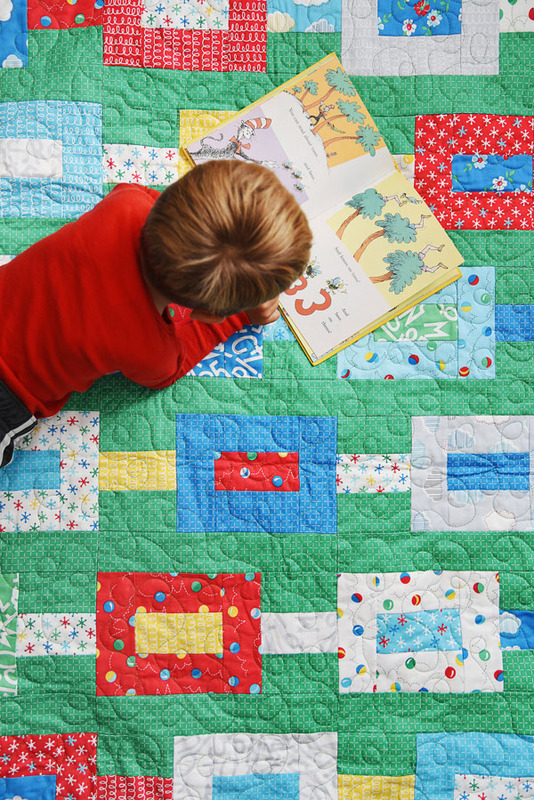 It gives me some nostalgic memories for my Grandma’s play quilt that we used to play on as toddlers. Granted that one was from Sesame street but the colours were also this vibrant and fun.